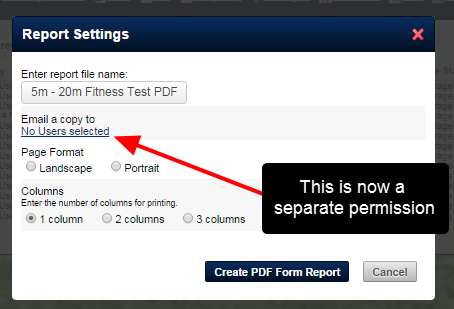 Previously any user who had access to generate a PDF from the Reports or Athlete History page could generate a report and e-mail it directly to a coach or an athlete in a group. 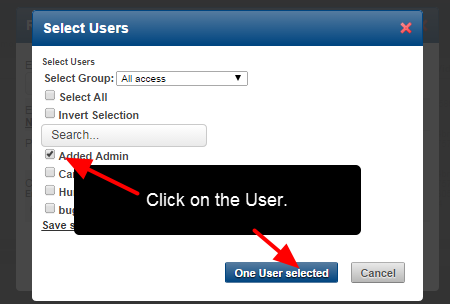 This capability has been set up as a separate system permission. 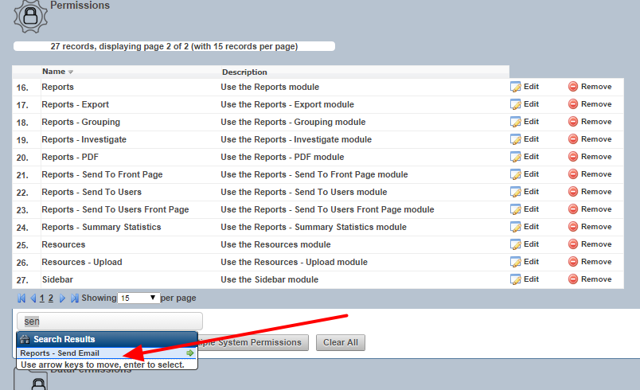 Additionally, a user cannot e-mail the report to any user other than a coach of the current group that is loaded. 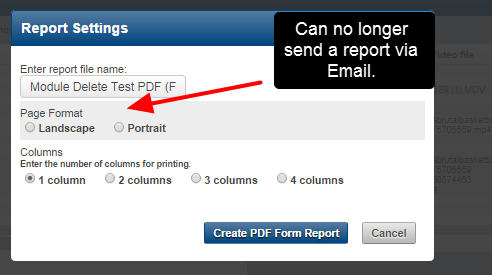 The ability to send the report via Email has been removed. 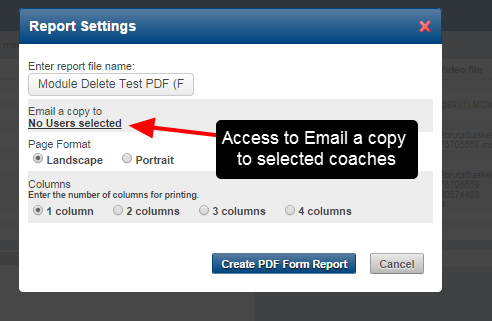 All users will no longer have access to Email a pdf report unless they have access to the System Permission called "Reports- Send Email"
To Email a report the user will need access to the System Permission called "Reports - Send Email"
If a user has this permission they will be able to send PDF and PDF-Form reports to a coach of a group. 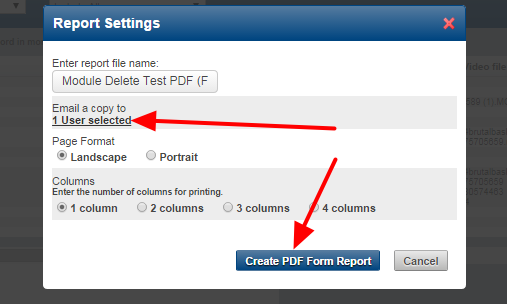 The PDF will be able to be Emailed to a coach of the group that you currently have loaded. 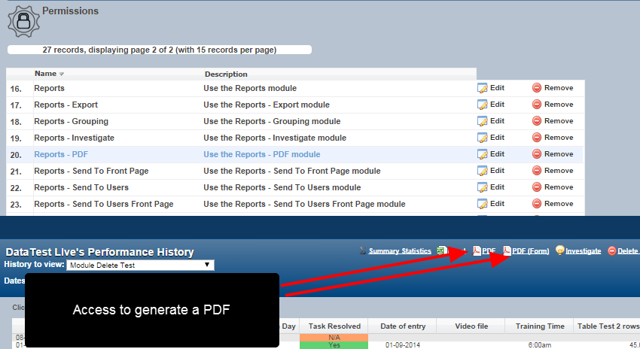 The user will be selected and the report can be generated. The report will appear in their Email. Zoom: The report will appear in their Email.